In Christ’s day, a Jewish bride-to-be had to be ready for her bridegroom to arrive at any moment. She prepared herself, and listened for the trumpet blasts and shouts signaling his eminent arrival. 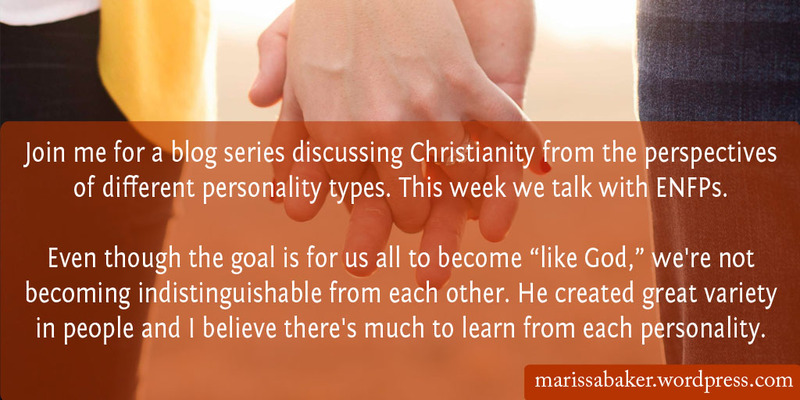 Jesus’ first coming followed a similar pattern, with a “friend of the bridegroom” telling people he was on His way. Scripture indicates His return will also follow a pattern like this. As we approach the fall holy days of Yom Teruah (Feast of Trumpets), Yom Kippur (Day of Atonement), and Sukkot (Feast of Tabernacles), my mind has been on Jesus’ return. These days picture parts of God’s plan that have not yet been fulfilled, including Messiah’s second coming. Our walks with God don’t all look the same. 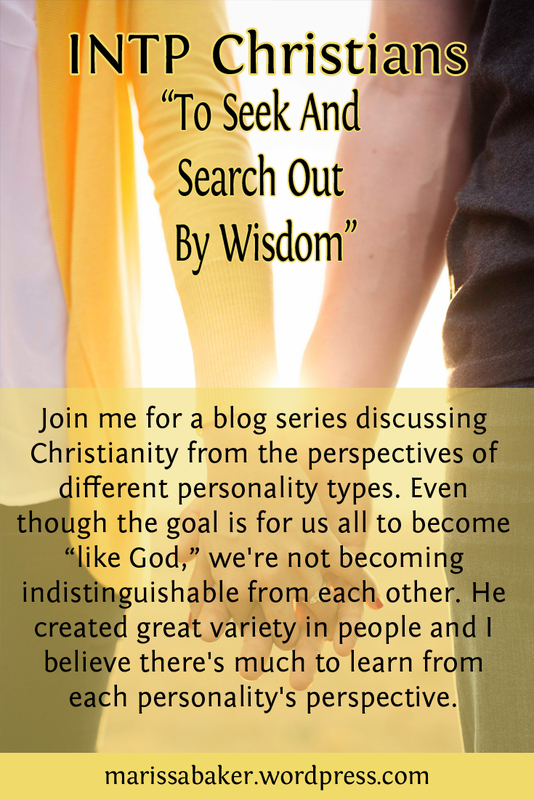 We’re influenced by our backgrounds, variations in beliefs, and individual personalities. And even though the goal is for us all to become “like God,” that doesn’t mean we become indistinguishable from each other. 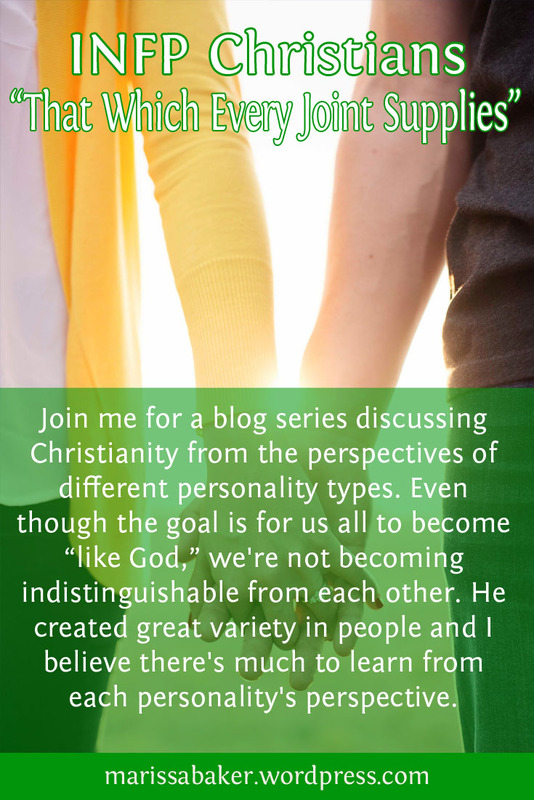 God created great variety in people and I believe He did that for a reason. 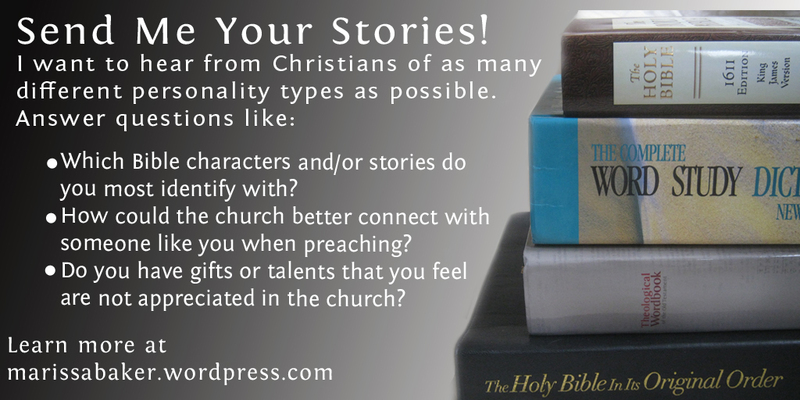 This is the first post in a series looking at Christians with different personality types. 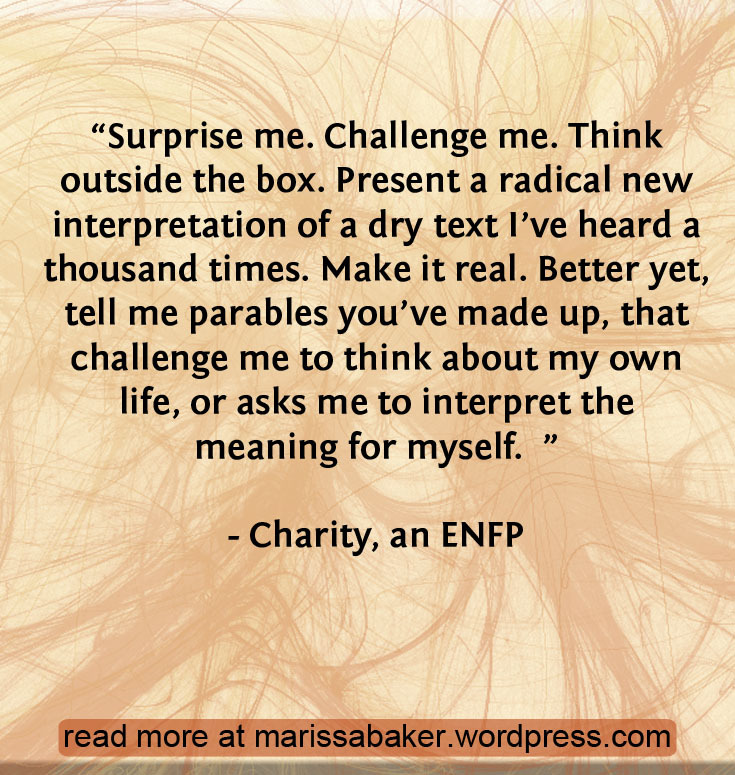 Today, we’re focusing on my personality type — INFJ. When you start talking with people of faith who fall into different personality type groups, you notice not all the personalities feel equally valued and understood by Christian churches. 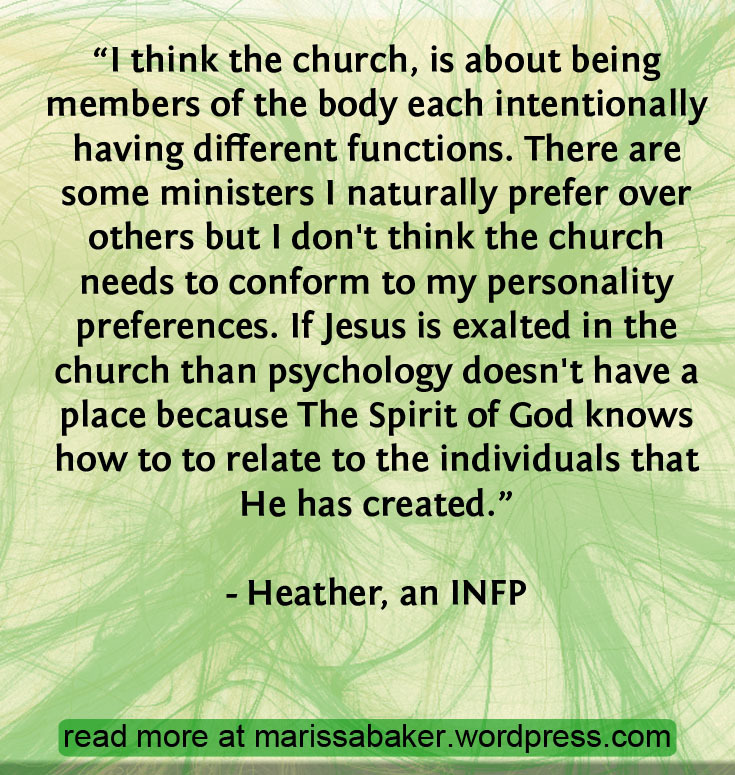 And churches on the whole seem skewed toward attracting Sensing and/or Feeling types. 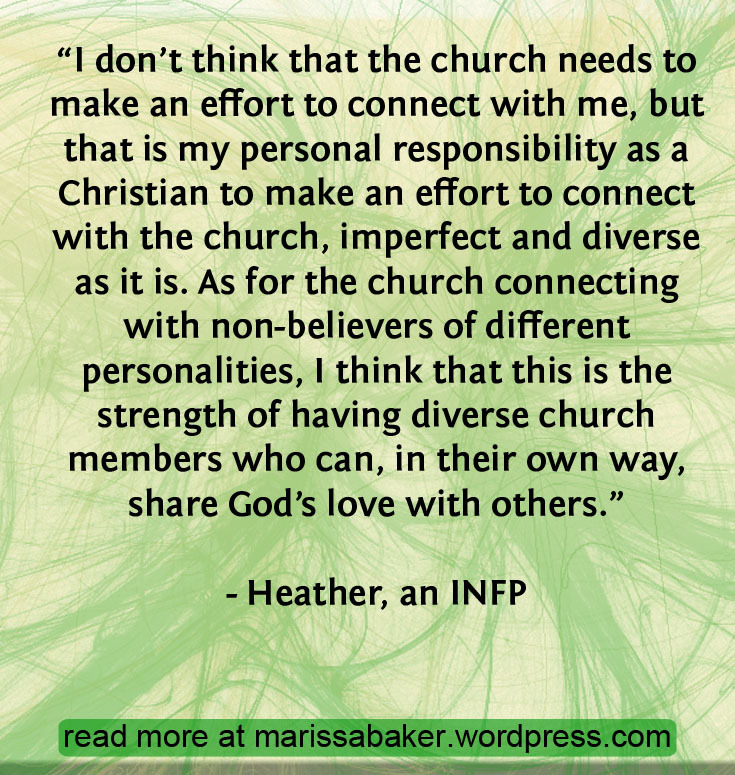 If Christianity is a faith meant for all people then why aren’t we doing a better job of connecting with all personality types? 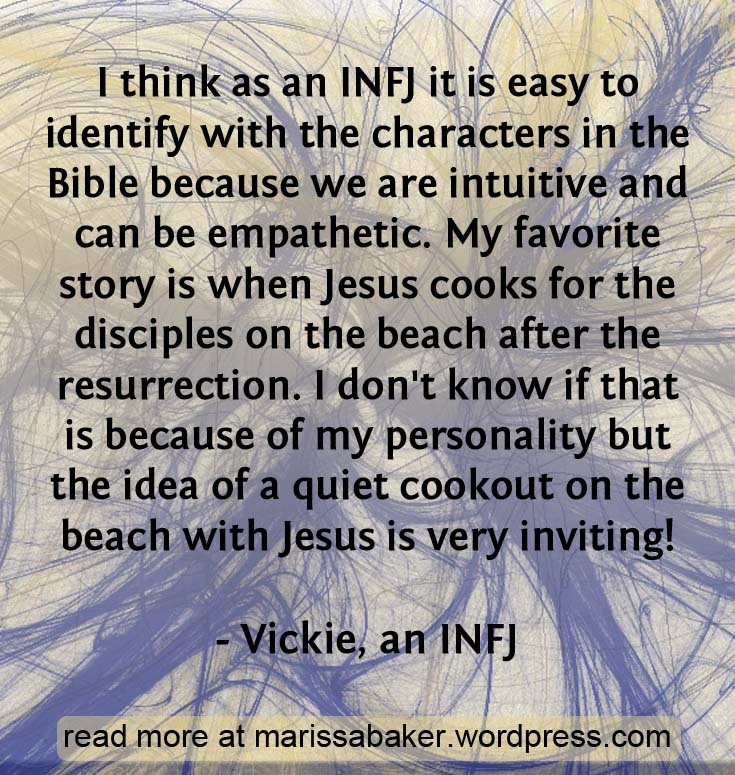 I asked INFJs which Bible characters they identified most with and received a flood of responses. It seems we can’t pick just one favorite character. 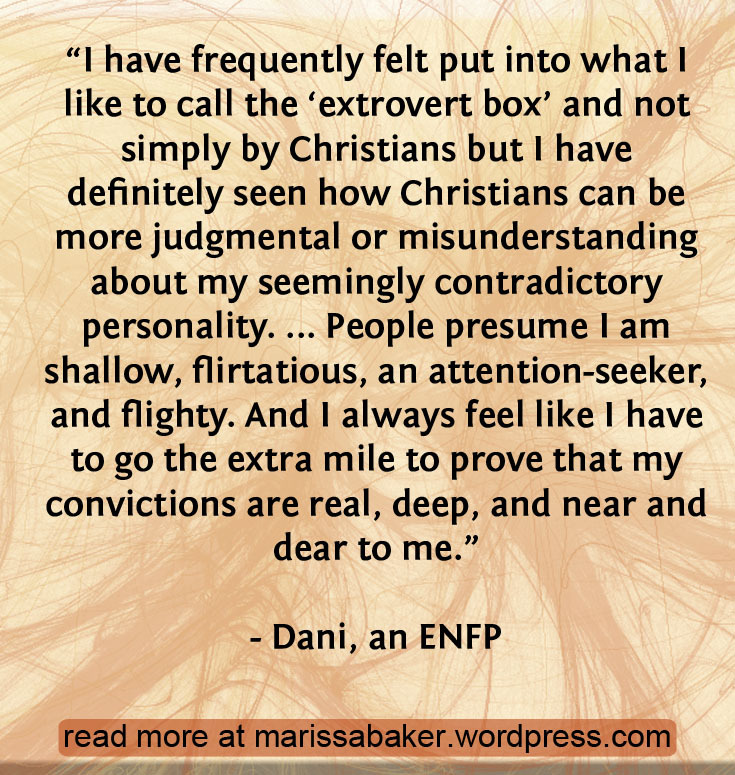 Several INFJs mentioned that our empathy makes it easy to identify with Bible characters. 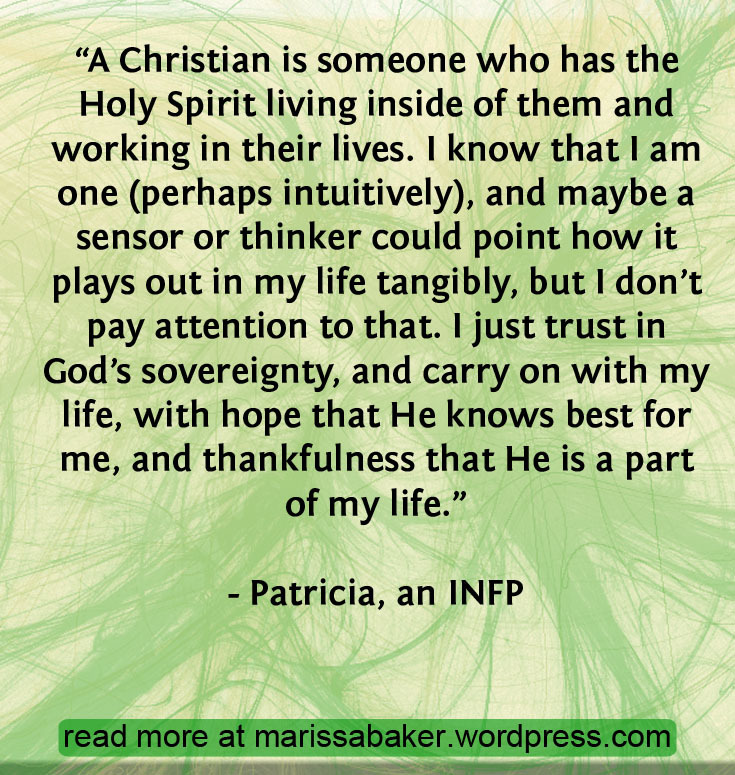 Rachel writes, “My personality pushes me to strive to understand everyone, so I can identify with all the characters in the Bible in some way.” We do have favorites, though, (mine is the apostle John) and the INFJs who did get into details about their favorite characters were very specific. I am Mary and Martha. I love Mary for the way she valued Yahweh and sat attentively, listening to all His wisdom. I identify with Martha and always love to think that I am treating my guests like royalty by having everything organized and prepared. And last of all, my heart beats with Paul. 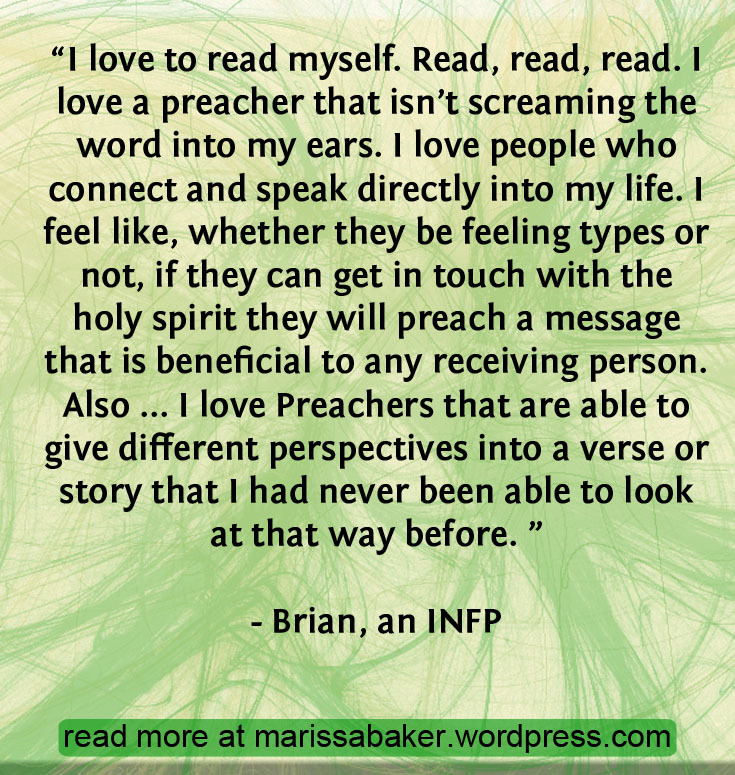 I love his drive to get others to really live by the teachings of the scriptures. 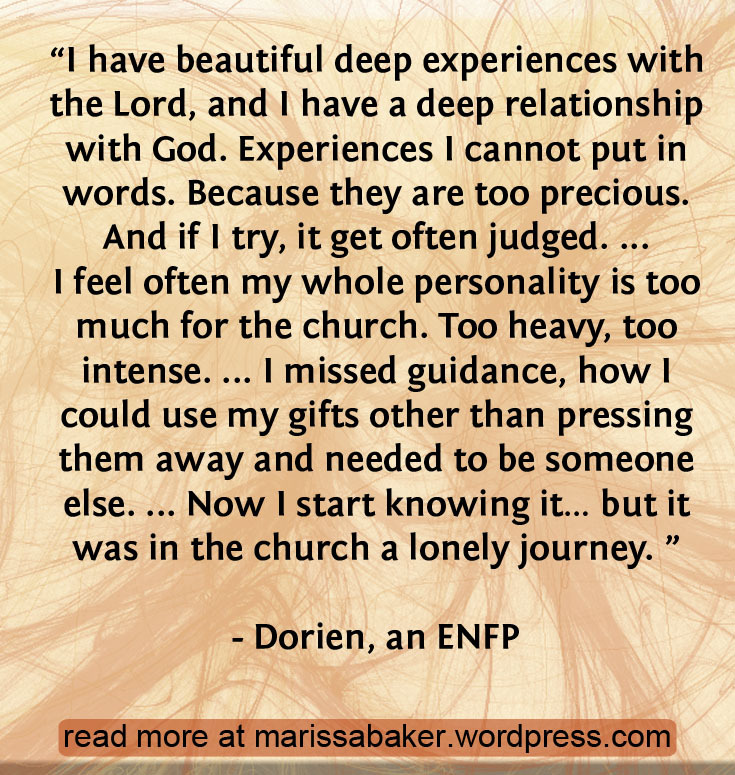 His quest for spiritual excellence is so awesome and it is so moving how dedicated he is to those he serves and he loves them so authentically and I feel like I really “get” him. 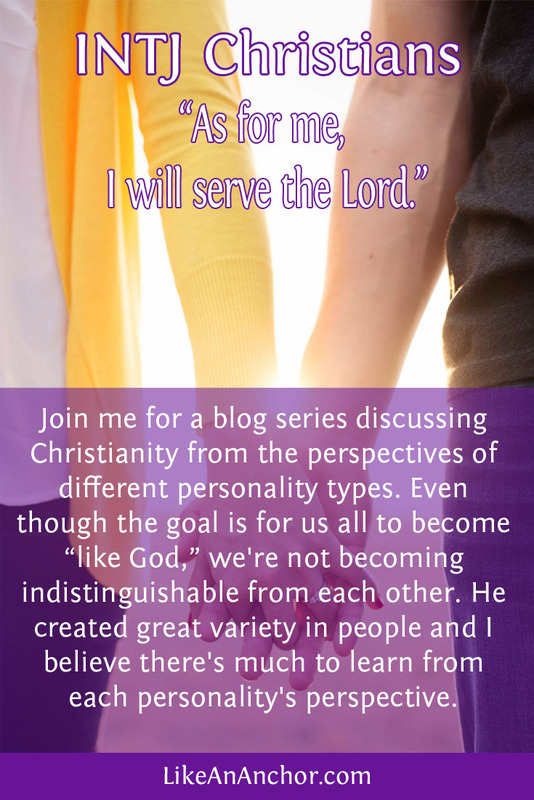 He is a person who is passionate in living the Christian life the right way with integrity and love.